Many millennials, such as myself, were taught to be careful with what we post online because the internet is forever. In recent years, people have given less and less thought to what they post online. Schools, officials and police are capitalizing on this carelessness by using social media monitoring software to crack down on those who openly discuss criminal acts on the web. Earlier this month, four Chicago teens were arrested for live streaming a Trump supporter they kidnapped, tied and beat. Prior to the new year, four people were arrested for organizing a brawl at a Pennsylvania mall through social media. There are countless stories of arrests facilitated through social media, which seem to be happening more frequently every year. Now, the Boston Police Department is receiving backlash for openly discussing their plans to adopt social media monitoring software. The BPD has received so much flack from the proposed $1.4 million investment in social listening technology that they suspended the entire project and postponed choosing a vendor. Three companies have submitted request for proposals (RFPs) to the City of Boston to contribute their technology solutions: Dataminr, Uncharted and Verint. Each of these companies has experience supplying government and police forces with cyber-security and web-monitoring technology. In fact, Dataminr recently signed a contract with the FBI for 24-hour Twitter monitoring. Because 151 counties, cities and police are believed to be using social media monitoring software, it’s worth examining these products’ actual capabilities. Dataminr’s capabilities include event alerts, threat detection and collaboration features, according to its RFP. 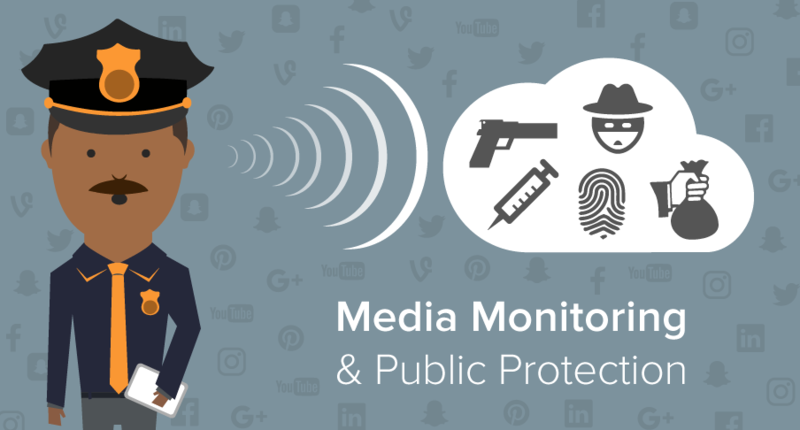 The tool can monitor context of social media groups and clusters of posts to inform police departments of suspicious activity. This vendor offers three products geared towards government and law enforcement monitoring and analytics. Geotime, TellFinder and Influent are all monitoring and analytics tools that aim at aggregating large amounts of data and turning insights into data visualizations. In its RFP, the vendor explains the product’s abilities to analyze social media data for intelligence analysis, criminal investigations and surveillance operations. Most of the features Uncharted discusses are part of its Geotime product. Social media can be a powerful tool for companies, governments and civilians, all for very different reasons. But if you are looking to maximize some component of your social media practices, visit our social media management software, social media monitoring software and social analytics software categories to learn more about these products.